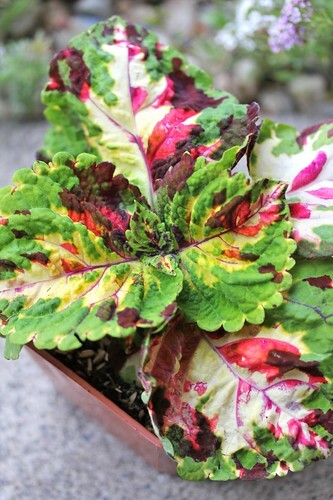 I stopped by our local nursery, Mid City Nursery to see what Coleus they had in stock. As I was walking by, I could smell something fruity and looked around to see what it was. It was a Banana Shrub (Michelia figo). It smelled really good and as I moved close to the plant to smell it more, an employee came over to me and commented how good it smelled. I then remembered the Strawberry Tree that I saw in the Vallejo Garden Tour and asked her if they sold it. She was really nice and showed me the ones they had. One was in the shrub section, another was in the young fruit tree and another was in the taller landscape tree. She told me it was related to the Manzanita which explained the red bark. She even showed me one that they had in the demonstration garden that was really big. I asked if she ever tasted it and she said that it didn’t really taste good; it’s kind mealy. I also purchased this light yellow Daisy-type flower. When I got home I realized it didn’t have a tag, so I don’t know what it is. The brand is Blooms of Glen Ellen and the bar code reads 7-81282-00002-4. I sent an email to Mid City Nursery asking if they can tell me what it is, but I haven’t gotten a response. 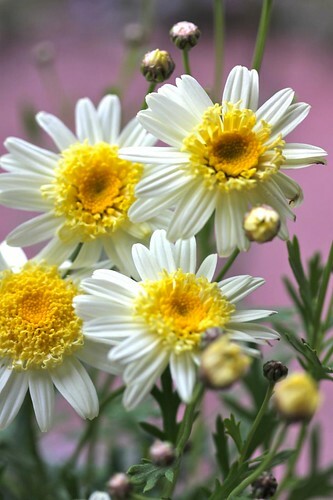 [Update] It is a Marguerite Daisy (Argyranthemum frutescens). [Update 2] I went back to the nursery and found the tag. It’s Argyranthemum frutescens ‘Madeira Crested Primrose’ . 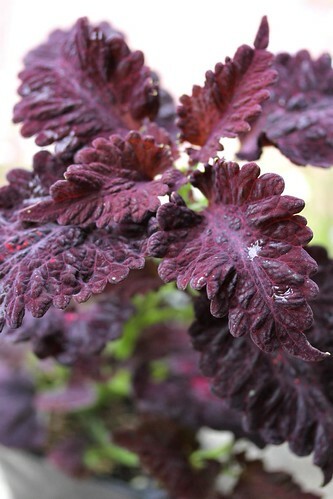 This entry was posted in Gardening and tagged banana shrub, coleus dragon black, coleus kong, coleus kong mosaic, Marguerite Daisy, mid city nursery, purchase, Strawberry Tree. Bookmark the permalink.